How Can You Prove Nursing Home Neglect Led to Your Loved One’s Death? Too many elderly people in Tennessee are the victims of nursing home abuse and neglect. In many cases, nursing home personnel fail to follow proper protocols and the patient suffers–or even dies–as a result. Unfortunately, connecting such failures to actual patient harm can prove difficult when pursuing a personal injury or wrongful death claim in court. Consider this recent case from Bradley County, Tennessee. The plaintiff is actually the estate of a woman who died three years ago while under the care of a nursing home owned by the defendant. The victim suffered from cardiovascular disease. 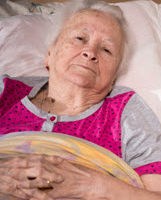 Her doctor left express orders to keep her “bed elevated to a 45-degree angle at all times.” The estate alleged that nursing home personnel failed to follow these instructions and left the victim “lying flat in bed” on the day she died. Before the trial court, the estate produced an affidavit from a registered nurse, who said that in her expert opinion the failure to keep the victim’s bed elevated constituted a “breach in the standard of care.” The nurse said laying flat caused the victim to “aspirate,” which led to “acute respiratory failure and death.” In response, the defendant produced testimony from one of its own nurses, who said she “never found [the victim] lying flat in bed.” This nurse claimed she had “no idea” why the victim died. Nursing home abuse can take many forms. The case above addressed negligent care. But some nursing home employees may be financially, emotionally, or even sexually abusing residents. If you have a parent or other relative in nursing care, it is important to take note of any potential evidence of abuse or neglect. Even a seemingly minor thing, such as an unexplained mark on a resident’s body or a missing personal item, could be a sign of more widespread abuse. The sooner you start to build a paper trail, the easier it will be to prove nursing abuse in court, should that become necessary. You should also not attempt to tackle nursing home abuse on your own. Remember, nursing facilities are generally owned by large, sophisticated companies that can afford skilled legal counsel. That is why you need to have a qualified Knoxville nursing home abuse lawyer on your side. Contact the offices of Fox & Farley, Attorneys at Law, if you live in the Knoxville, Clinton, Gatlinburg, Pigeon Forge, or Sevierville, and need to speak with an attorney today.